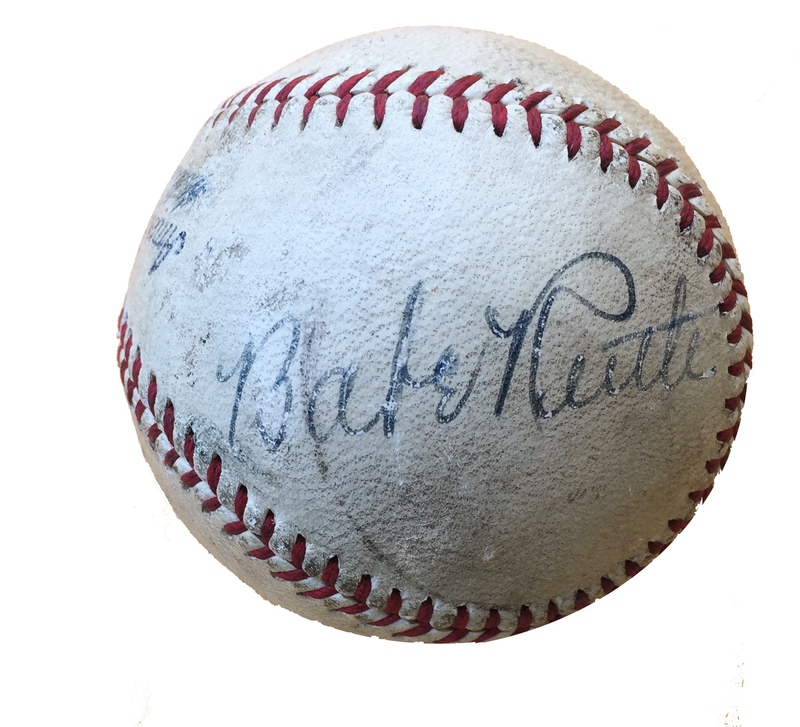 On June 2, 1935, one of the greatest players in the history of baseball ended his Major League playing career after 22 seasons, 10 World Series, and 714 home runs. Babe Ruth would be inducted into the Baseball Hall of Fame the following year, one of the first five players to receive the honor. Signed Major League Baseball by Babe Ruth in the side panel. Authenticated by James Spence Authentication (JSA) and includes a Letter of Authenticity with a certification number. Ruth signed the ball sometime that year, or possibly several years later when participating in a home run hitting exhibition in Michigan in the summer of 1940. 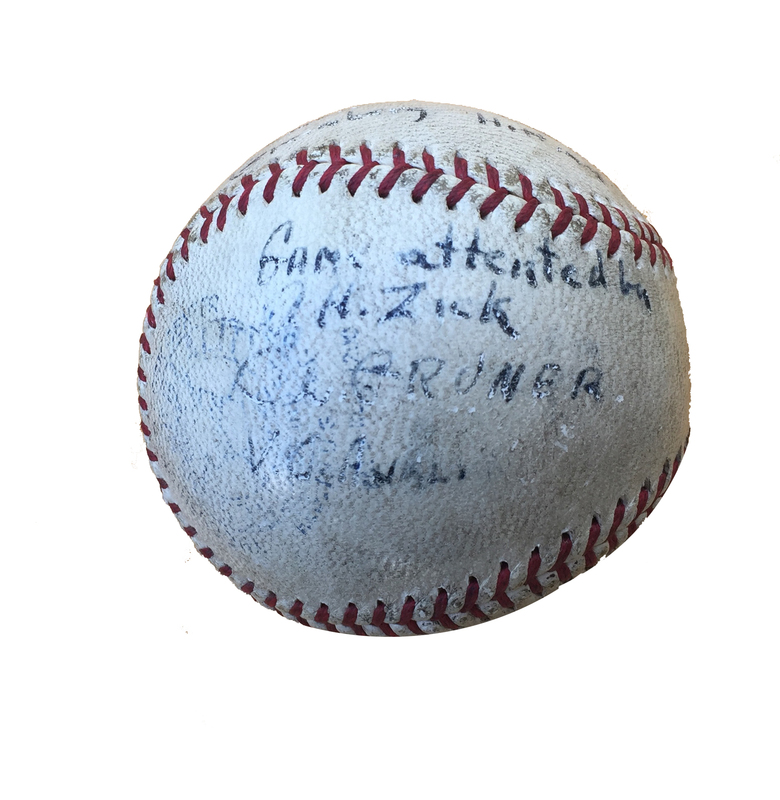 It is speculated that the three boys who signed the ball actually caught the home run that was hit by 1st Basemen Hank Greenberg of the Detroit Tigers in the 5th inning. 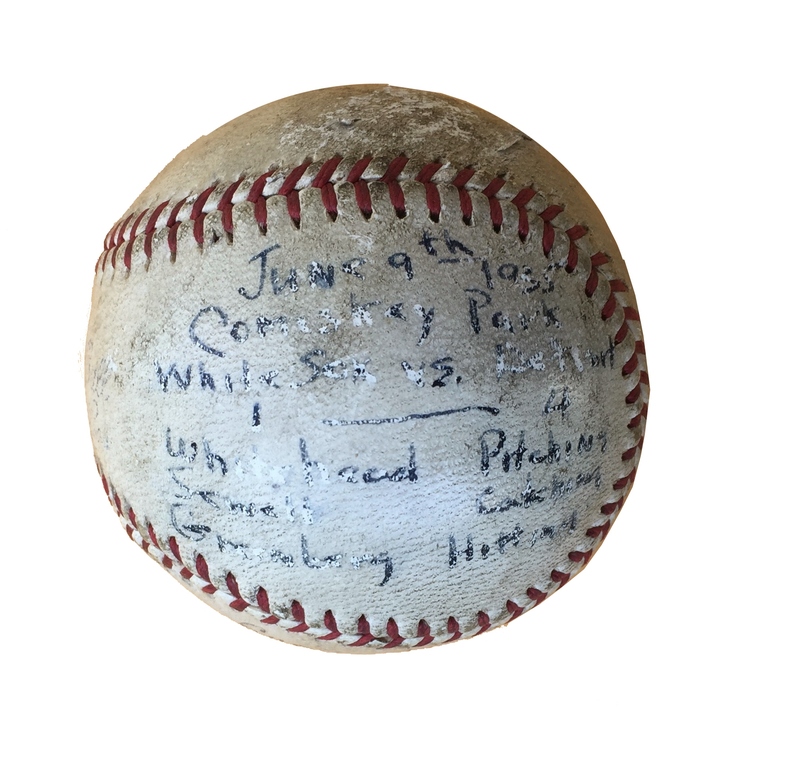 They penned their names under “Game attended by A. H. Zick, C. L. Cruner, V. C. Ankli.” In another panel they wrote, “June 9th – Comiskey Park – White Sox 1 vs. Detroit 4 – Whitehead Pitching – Sewell Catching – Greenberg Hitting.” This happened to be the ball that Alfred H. Zick had personally signed by Babe Ruth, and that he then presented to his grandson before he passed away in 1959. 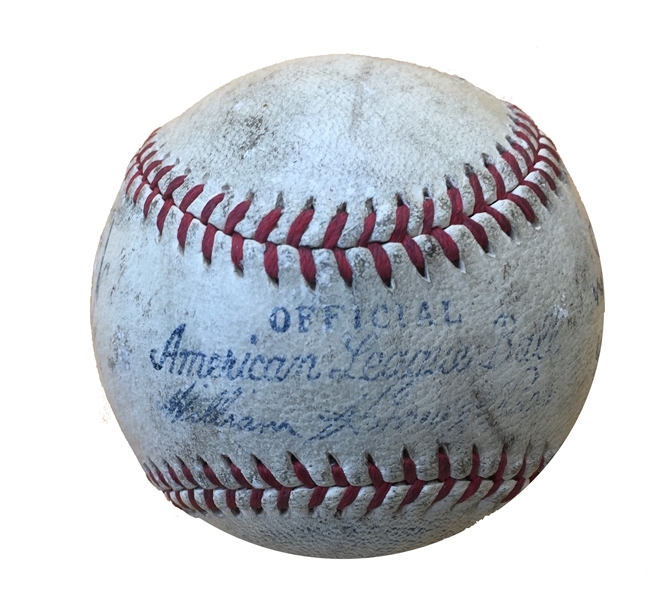 There is a noticeable scrape to the ball which could have resulted from the home run blast.